The Art+Activism Collective and Plan B Merchant’s Co­op present a concurrent exhibition of print portfolios relating to labour and social justice in Halifax, NS, and abroad. 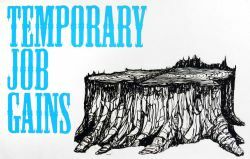 The exhibition includes a local exchange portfolio ­­created during a social justice/art making public workshop at NSCAD University ­­alongside curated selections from the Justseeds Artists’ Cooperative archives. The public portfolio was open to any resident or “friend” of Nova Scotia who was able to produce an edition of prints inspired by Nova Scotia’s past, present, or future social justice or labour victories and struggles. The workshop and ensuing discussion and creative output served to connect members of Nova Scotia’s creative community with one another on the grounds of collective interest, using the subversive and transformative power of visual expression. The Justseeds Co­op is a decentralized network of 24 artists who make print and design work that reflects a radical social, environmental, and political stance. Members hail from the U.S., Canada, and Mexico, and create projects that speak to the transformative power of personal expression in concert with collective action.